True Book Addict...True to Books: Cat Thursday: Happy New Year! Happy New Year to all of our friends! Wishing you much health and happiness in 2015 and beyond! LOL - I almost used the first one, but I did use the second one. GMTA! Happy New Year! 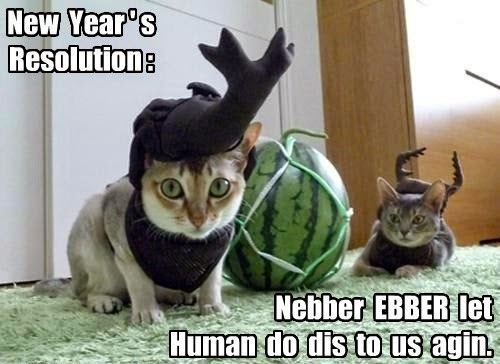 Happy New Year, Michelle, or as Eccles would put it, Mew Year! Oh my god, that cat in the peanuts is hilarious! 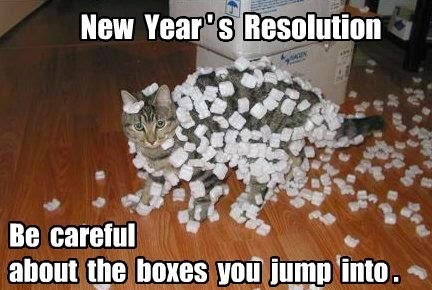 I can totally see one of my cats doing that. Happy New Year Michelle! Hope 2015 is good to you!